Old linoleum or vinyl tile flooring can be challenging for renters. What do you do if you can't replace them but can't stand looking at them? 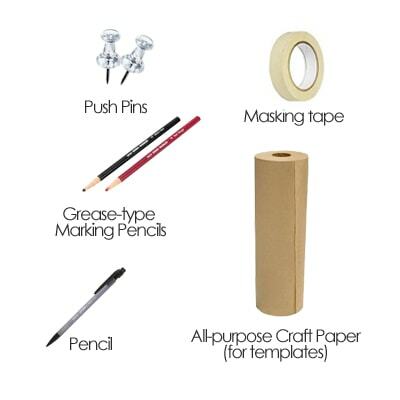 The easy renter-friendly solution is installing tile on tile: you can cover up the old vinyl tiles with a semi-permanent DIY vinyl tile flooring that you can remove later without leaving a trace. Watch this episode to see how easy it is to install a temporary vinyl tile floor with double sided tape - it completely transforms a drab and ordinary kitchen into a space full of color and personality! 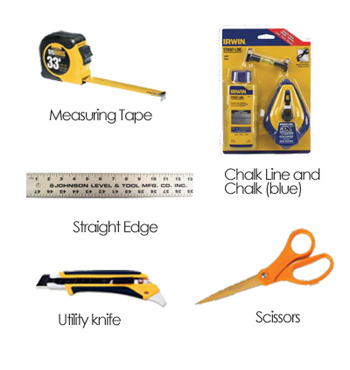 Do you think you could use regular floor tile, not remove the backing to expose the adhesive and still make it work? Not sure but that could work – I would test it with a few tiles and see! Unfortunately they don’t make these tiles anymore and I haven’t found anything similar. 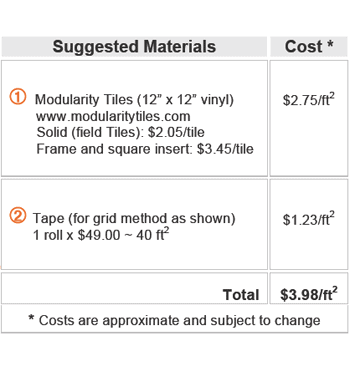 Did Modularity produce the tape too or is that (or a similar) product still available? 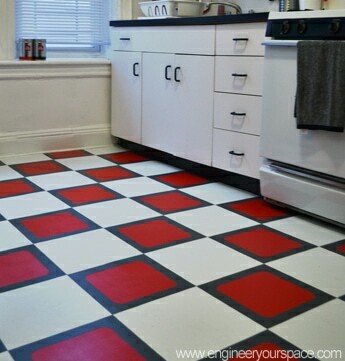 I’d really like to attempt this with regular vinyl tile.